…and not just anyone can repair them. 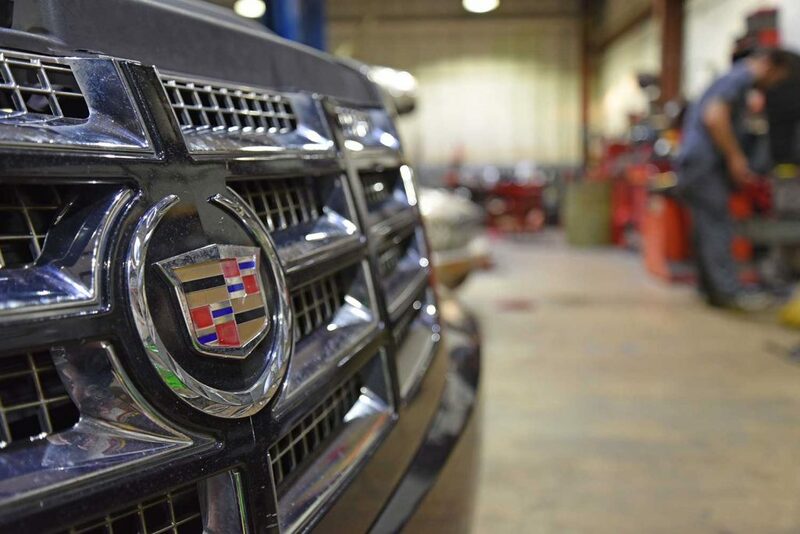 Cadillac Jaguar of Northlake has made investments in training and diagnostic test equipment to ensure that your vehicle is diagnosed correctly and efficiently for repairs. Our customers trust and count on Cadillac Jaguar for the best quality service done right the first time for over 16 years. If you need maintenance or repairs, contact us today. Many car owners have heard of fuel injection systems, but few understand what they truly are, nor what they mean for their driving needs. Since the 1990s, vehicle manufacturers have forgone the use of carburetors for a more efficient and environmentally friendly fuel injection system. Fuel injection systems have been around for many years, but only now have begun to be perfected with even electrical vehicles utilizing them for their engines. Unfortunately, without a fully functioning fuel injection system, an engine can’t receive the fuel it needs to start. And when your vehicle has fuel injection system issues, you need a professional team you can trust to get your engine running again. 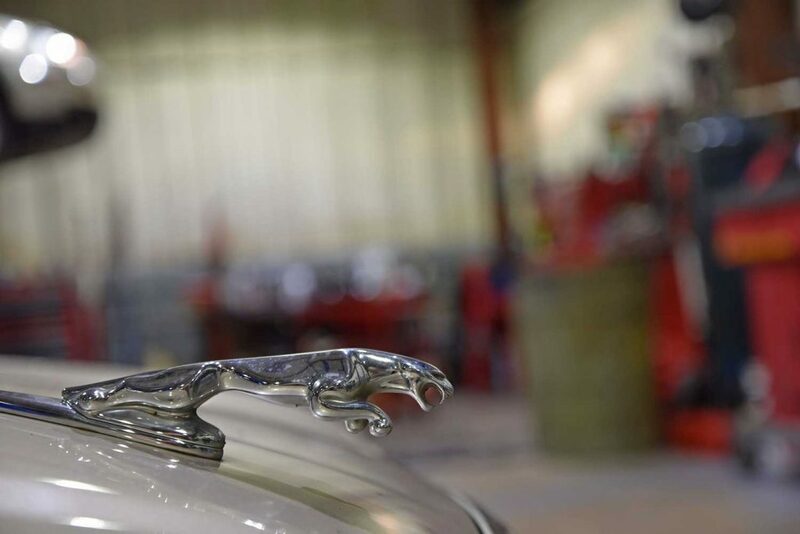 With better service, your engine can roar to life again like it did when you first started driving it. 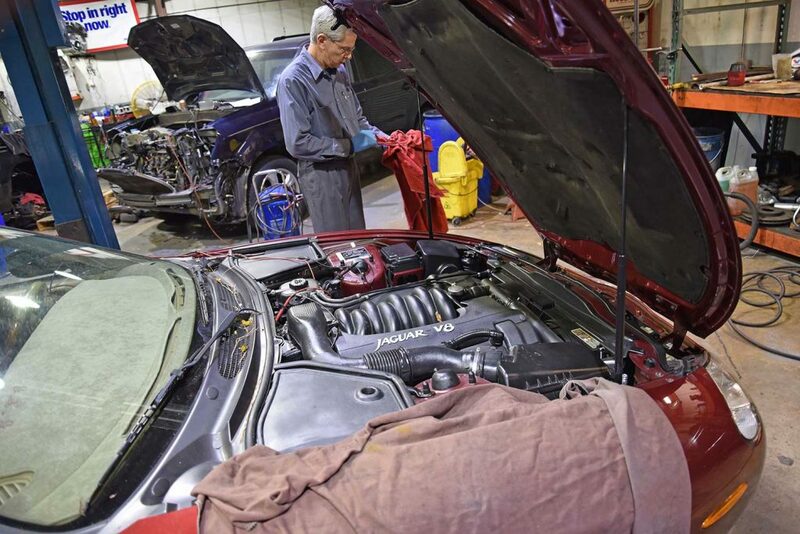 KUHN AUTOMOTIVE fixes more fuel injection problems than any other local auto body repair shop. If your vehicle doesn’t have the level of power it needs to operate efficiently or even won’t start, chances are it’s an issue with the fuel injection system. Far more complicated than older models of engines, fuel injectors can need a lot of services to keep running smooth. No matter what your car or truck needs to get the power and acceleration back that you remember, we’ll do it faster and cheaper than any other auto mechanic service. Because today’s engines have dedicated fuel injectors for each cylinder you operate with, there are more chances for problems to occur. No matter how many cylinders are sending fuel into your engine, it can leave a lot of debris behind. Sometimes a fuel injector can be simply cleaned, scrubbing away tough residues and ash left behind from repeated combustion. Other times, they must be replaced with a brand new one. 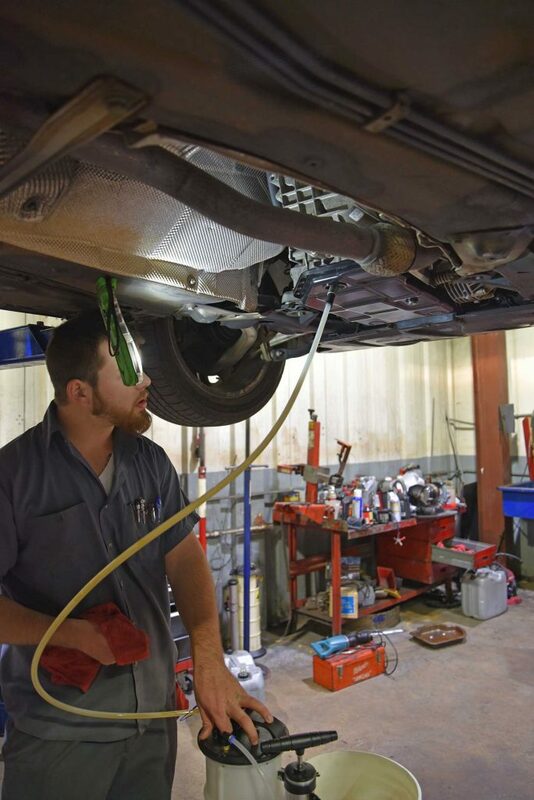 No matter what your vehicle needs, we’ll be sure to take care of all your problems the right way each time. Our team has the level of experience you can trust to keep your vehicle running for longer. When you need your engine to receive the right fuel injections, there’s not better shop around than ours. If you own a Jaguar that is model year 1998 or newer, your keys require a specialized machine cutting and programming. This is done at every Jaguar dealership and typically runs $500+. At Kuhn Automotive we have the same capability of any Jaguar Dealership, and offer key services at less than half the price of the average dealer. In addition to all of your Jaguar service needs, we are proud to offer new and spare keys for your vehicle at affordable prices. Many cars that are purchased used only come with one key. This is risky for any car owner as there is always the possibility of locking the key in the car or losing that key. The convenience of having a spare key is clear. 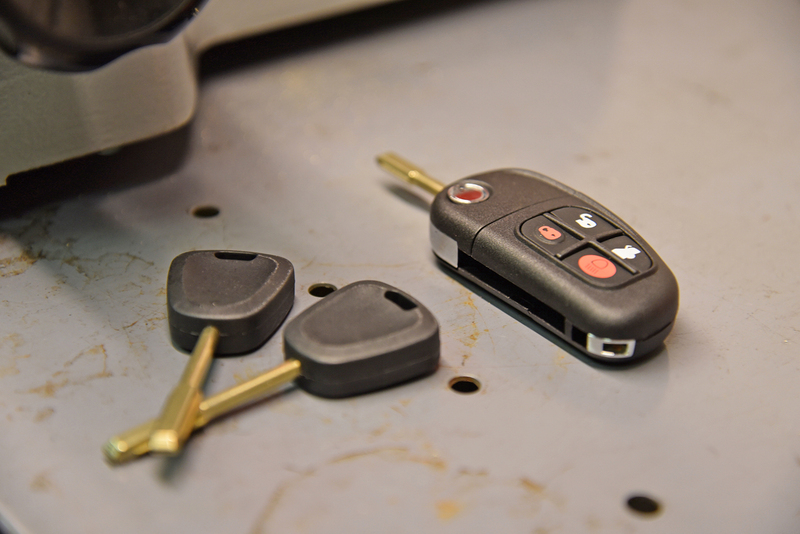 New RFID programmed keys that require a specialized machine for cutting are expensive and dealerships charge high prices for the service. The keys we use are approved for use in all Jaguar vehicles and will provide you with the security of having a spare key or a replacement key for your vehicle. Your new key will be ready in minutes and can be completed for any walk in customer while you wait. Come see us today for any Jaguar key cutting and programming needs. Everyone knows that they need an oil change, but many drivers have experienced a poor quality level of service. When this happens, it makes them want never to have an oil change again, putting the service off for far longer than they should. Before they know it, it’s been well over 3,000, or even 5,000 miles, and their engines are running dry. For the best oil change service around, you need KUHN AUTOMOTIVE. Other companies make you wait for hours for your vehicle to be finished, even if it when you managed to show up when they first opened the doors in the morning. And rather than stick to the oil change services you need, they continually try to upsell you with expensive oils that your car doesn’t need. You wind up paying more for services that don’t help your vehicle. Our team, however, gives your car the right oil each time. When we stick to the necessities, it gives your vehicle better service and a longer engine lifespan. If you need to know your vehicle is being taken care of, just bring it to us. We’ll give you better, faster service each time at a lower price than anyone else. Your car requiring a tune-up is inevitable. After working hard day after day, it’s only natural that your vehicle’s engine, and other interior parts, needs to be inspected, repaired, and replaced. 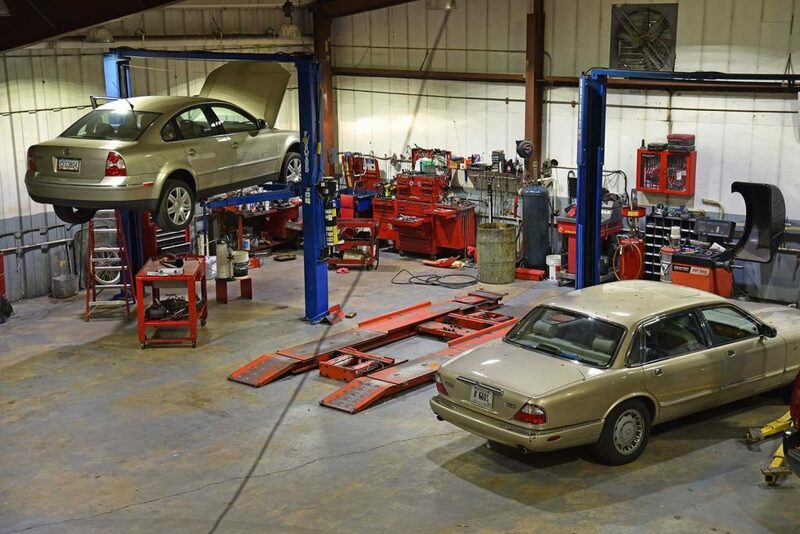 When you need to know that your car is getting the best care possible, just choose our shop. Some mechanics shops charge more for tune-ups than they have to. From overcharging for labor to using premium replacement parts, there is a lot of room to increase your service costs. But our shop offers the affordable choice in tune-ups and oil changes, giving you the fastest and most affordable service possible. Call us today with all of your car service needs. 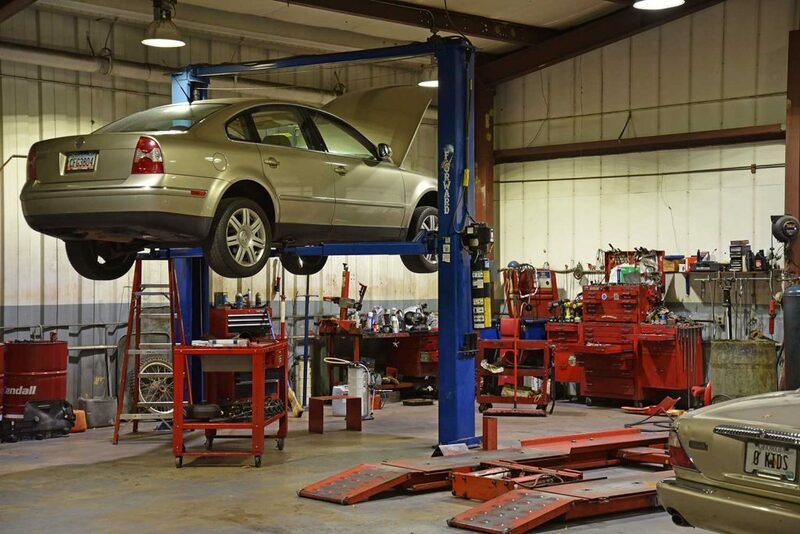 We’re the most trusted name in local mechanic services, and we’re ready to assist you and your vehicle today. Each and every vehicle on the market has a specific maintenance schedule straight from the factory themselves. While these planned maintenance options are needed to keep your car, truck, or van running at optimal levels, it can quickly begin adding up when you need multiple items handled all at once. It doesn’t help when some auto body shops or mechanic’s garages try to have you agree to expensive service options whether you need them or not. Another dirty trick is to charge you for a full vehicle inspection, even when they include it in their check up! When you need a reliable vehicle care team who won’t charge you more than you need to pay, just choose KUHN AUTOMOTIVE. We’re always upfront and honest about what our customers need and as a result, they pay less than other shops charge. 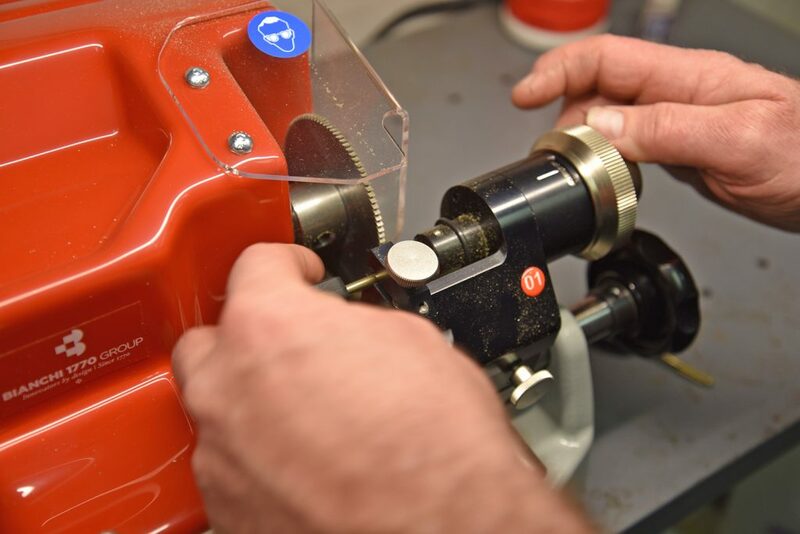 When you need a better level of service quality and lower prices than any other company around, we’re the best choice for all of your scheduled factory maintenance requirements. We give you better, faster service at lower prices to give you a better choice in your vehicle maintenance needs. You can rest easy knowing you’re getting the best deal around on all of your scheduled maintenance services. If you were to go to your dedicated car dealership for maintenance services, you would be paying through the roof for even the most basic of care options. When you pay for mechanics that are on the car company’s payroll, they can charge more for their name brand. Don’t let yourself pay more for the same services we can provide; come to us and get the best value around. Other mechanics can give a low quote only to have the result cost far more. It’s never a good day when you’re blindsided by higher prices than what you thought you were paying. Higher prices will only lead to keeping your car from you until you can pay, and may even force you to finance through their shop. But our team offers the lowest prices possible on all of our services, giving you the best choice each time. Few things are worse than entering your car and being unable to cool down the interior. Whether your vehicle is blistering hot from the summer sun or just from being parked outdoors, the inside of a vehicle can reach several hundred degrees. Not only is a faulty vehicle air conditioner inconvenient, but it’s also potentially dangerous. Blasts of heat from the car’s vents can make drivers drowsy, or even succumb to heat exhaustion. Before you begin driving your vehicle, you need to make sure your vehicle’s A/C is properly working. KUHN AUTOMOTIVE is your car A/C experts. When you bring your vehicle to us, we’ll get the cold air blowing through your vehicle once more faster and easier than with anyone else. Don’t sweat a busted car A/C any longer and let us help you. Broken A/C systems can be pricey to replace. Because of this, many mechanics shops always push you to pay for them to swap your air cooling system out for a new one. As a result, a less expensive repair is now costing you hundreds of dollars. Even if they replace your air conditioner with a used part, it will still cost several hundred dollars to change out. Our team will always give you an affordable choice in vehicle air conditioning repairs and replacements services. Whether it’s a quick and easy hose replacement or a complete air compressor replacement, we do it all! Before you trust just anyone to keep you cool, let us fix your car’s A/C problems. Sometimes the solution for your vehicle’s a/c issue is a little extra coolant to recharge your system. Low-quality coolants from discount stores won’t last for long. But when you come to us, we use professional grade coolant to keep your car cooler for longer. Other times you need a compressor that works. Although a much more expensive repair, it will cool your car again like it did when it was brand new. If your car blows hot air when idling, or all the time, then it’s more than likely that the vehicle’s compressor at fault. When you need to know that a new expensive air compressor is installed correctly, come to the shop that you can always trust. For better control over your vehicle’s climate that won’t cost as much as anyone else in town, let us fix your car’s air conditioning needs. You’ll have a better working A/C system that won’t break the bank.